It’s that time of the year when our thoughts turn to summer holidays, but amid the excitement of choosing a destination, don’t forget to arrange travel cover. 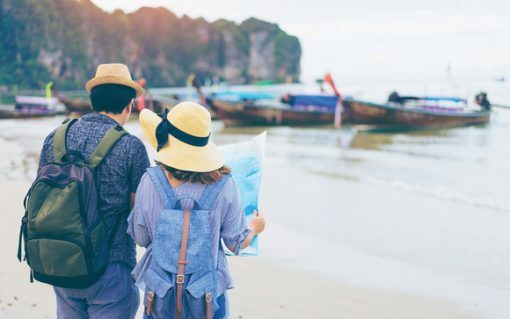 In the last three years, one in three Australians have headed off internationally without the protection of travel insurance. If you run into trouble overseas it can be far more than just inconvenient. Lost baggage, stolen smartphones and delayed flights can leave you with unexpected bills. But if you become unwell or injured, the cost can be high enough to bring on altitude sickness. The cost of overseas medical expenses. Medical treatment in the US for instance can cost several hundred dollars per day. Being repatriated back to Australia for treatment from popular destinations like Indonesia can leave you, or your family, with a bill of around $94,000. The scary thing is that a recent report by the Department of Foreign Affairs and Trade (DFAT) found as many as one in two Aussie travelers believe the Australian government will pick up the tab for their overseas medical expenses. In fact, nothing could be further from the truth. If you run into trouble while travelling, even in an emergency, you could find you’re on your own when it comes to footing the bill. DFAT’s SmartTraveller website makes it very clear that if you don’t have travel insurance in place, the Australian government won’t pay for your medical treatment overseas or medical evacuation to Australia. So a sensible rule of thumb is that if you can’t afford travel insurance, you can’t afford to travel. Ensure you have adequate cover. Fortunately, travel insurance is very reasonably priced. As you’d expect basic policies are cheaper than comprehensive products but there can be a world of difference in the protection they offer. A basic product may only cover you for medical bills and some public liability. A comprehensive policy will typically have a range of add-ons like car rental excess cover (so if you have a bingle in a hire car it shouldn’t cost you a cent), as well as cover for delayed flights, loss of luggage and theft of cash. It always makes sense to shop around for travel cover, and the internet makes this easy. Your health fund or super fund may also be a source of low cost travel insurance. However, do read the fine print. Terms and conditions, along with premiums and what you’re covered for, vary widely. The main thing is to organise travel cover as soon as you’ve paid for flights or accommodation. Don’t wait until you’re about to head off as a lot can happen in the interim that could see you cancelling the trip. Along with being stranded at home this summer, that could also mean being left out of pocket. If you’re heading off for an extended period, it can also be worth speaking to us about organising non-enduring power of attorney. This way, you have peace of mind knowing that someone back home is continuing to take care of your financial wellbeing even while you’re away. Next readingWould you like to retire by 40?